BMW’s new Z4 has been unveiled at the Paris Motor Show today. The reimagined two-door, two-seat roadster will go on sale across Europe in March next year. The new Z4 is longer, wider and taller than the car it replaces, yet has a shorter wheelbase designed to make it more agile. Interestingly, it reverts back to a fabric soft-top rather than the folding metal roof of its predecessor, undoubtedly in a bid to save weight. The fabric roof can be raised or lowered in ten seconds, and at speeds of up to 31mph. Three engines will be available at launch, all equipped with an eight-speed automatic gearbox. The 20i and the 30i variants will both have 2.0-litre four-cylinder petrol engines delivering 197 horsepower and 258 horsepower, respectively, while the range-topping M40i will use a 340 horsepower turbocharged six-cylinder petrol. The M40i has a claimed 0-62mph time of just 4.5 seconds, but even the least powerful 20i dispatches the same sprint in a very respectable 6.6 seconds. 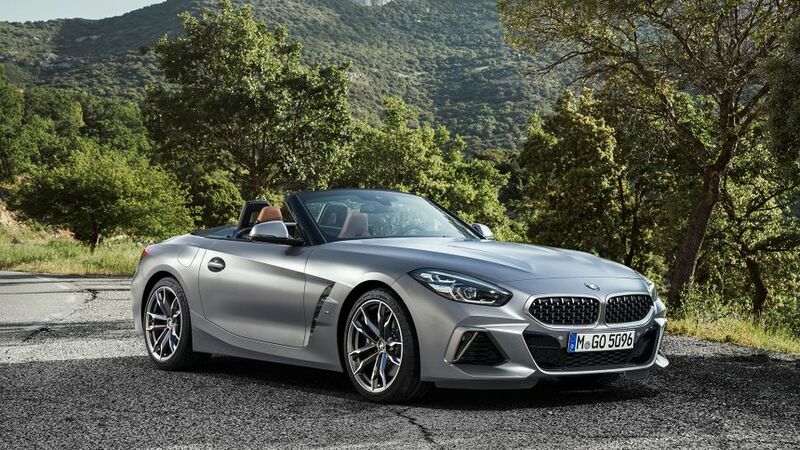 The new Z4 will be optionally available with BMW’s latest infotainment interface, which uses large, customisable digital screens, and the options list will also include plenty of clever safety kit, including active cruise control, a parking assistant and a head-up display. Safety systems including automatic city braking and lane departure warning are included as standard.